Bowers & Wilkins sold to Silicon Valley start-up for undisclosed sum | What Hi-Fi? The 50-year-old British speaker specialist Bowers & Wilkins has been sold to a Silicon Valley start-up founded by a former Facebook executive – and it looks like a multi-room music system could be in the pipeline. Joe Atkins, B&W's CEO and a majority stakeholder in the business, has sold the 1000-strong UK speaker company to Eva Automation. Eva was founded in 2014 by Gideon Yu, a former Facebook chief financial officer and venture capitalist, and the current co-owner of the San Francisco 49ers. Apparently Atkins and Yu met just 30 days ago. Atkins will remain as CEO of Bowers & Wilkins and will work closely with Eva and Yu "to continue to develop B&W's position as a world-class, highly integrated AV company". Yu will become B&W's executive chairman. The deal also includes UK and US distribution of sub-brands Rotel and Classé, but Rotel remains an independently-owned Japanese company and is not itself included as part of the takeover. Canadian high-end hi-fi company Classé is already owned by B&W so is part of the newly-formed company. 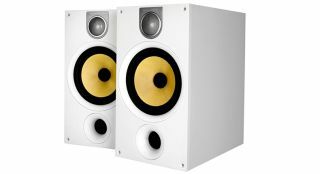 Yu and Atkins say there will be no staff cuts at B&W, and it will continue to sell its current range of products - and in time new ones - under the Bowers & Wilkins brand name. According to Bloomberg, Eva Automation has raised $20m of funding but has not yet made a physical product, although it was set up to develop - among other things - a multi-room audio/video system and has been looking for a suitable audio company to partner with. A multi-room B&W system, then? In an interview with CEPro, Yu seemed to confirm as much. “What I want for my own living room has not been created,” he said. “There’s components, like some good interfaces and really good high-end audio/video. If I could buy it, I would, but it hasn’t been created.” Watch out Sonos and Bluesound. Yu also suggested we needn’t worry about audio quality dropping down the priority list. “You won’t see any changes whatsoever in audio quality. We plan to invest in quality. Otherwise, why would we acquire B&W? All we want to do is find a way to deliver the next level of user experience that meets the quality expectations of the B&W customer,” Yu told CEPro. Interesting times, then. And hopefully some reasons to be positive about the future of a legendary English hi-fi company. B&W was founded in Sussex, England in 1966, and the company still has a factory in Worthing.